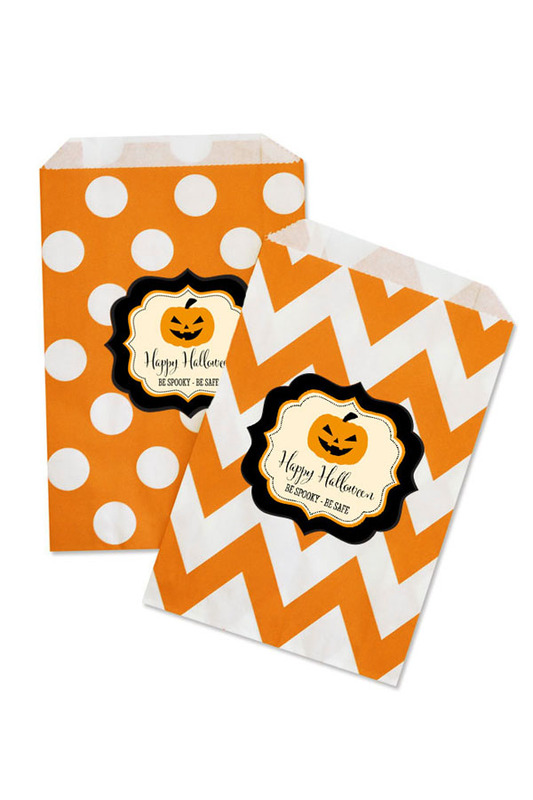 Personalized 5 x 7 orange and black Halloween party bags feature a classic pumpkin design and create adorable packaging for holding your homemade Halloween treats. Bags are sold in set of 12 and are available in an orange polka dot or chevron pattern. 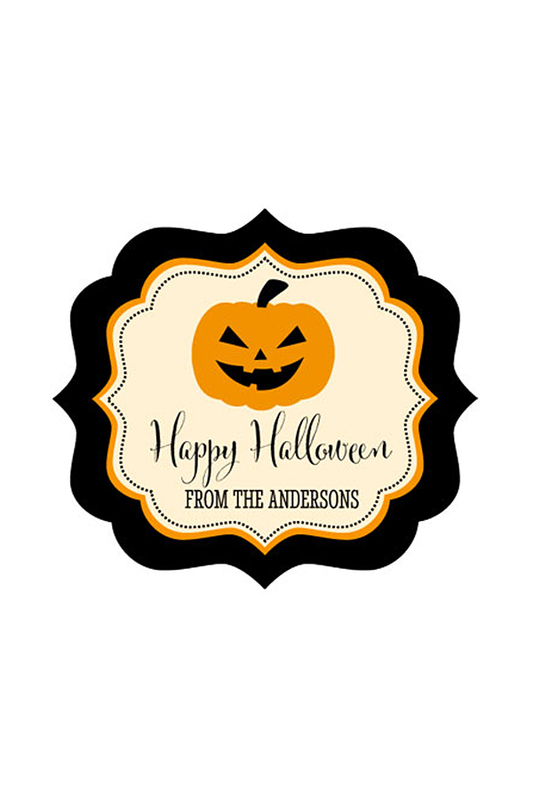 The included pumpkin design labels are custom printed with two lines of text. 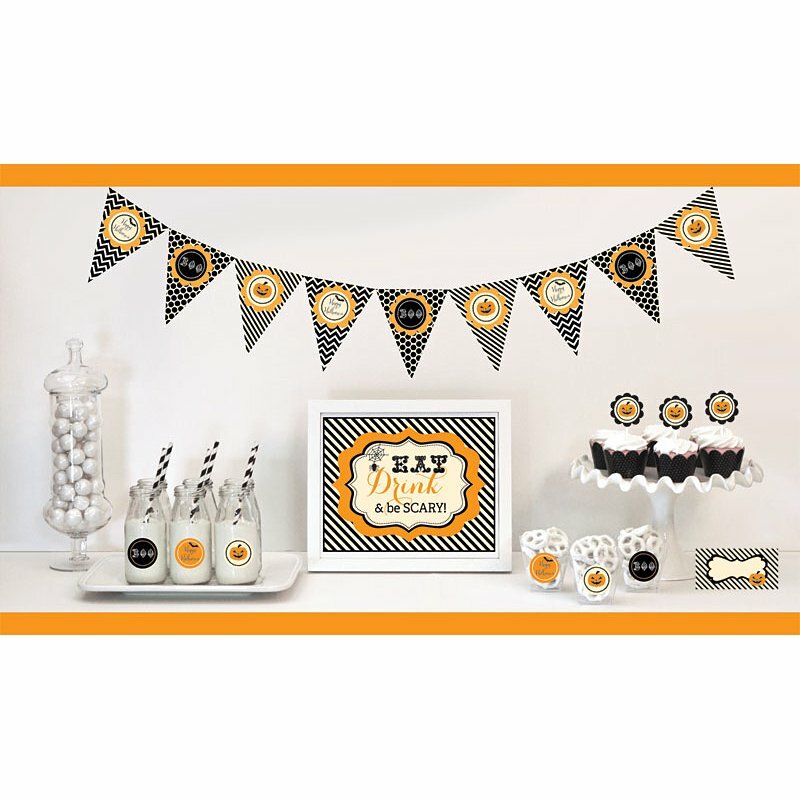 Whether you're filling them with popcorn, candy, or other goodies, these Halloween bags also make the perfect embellishment for your freaky party. 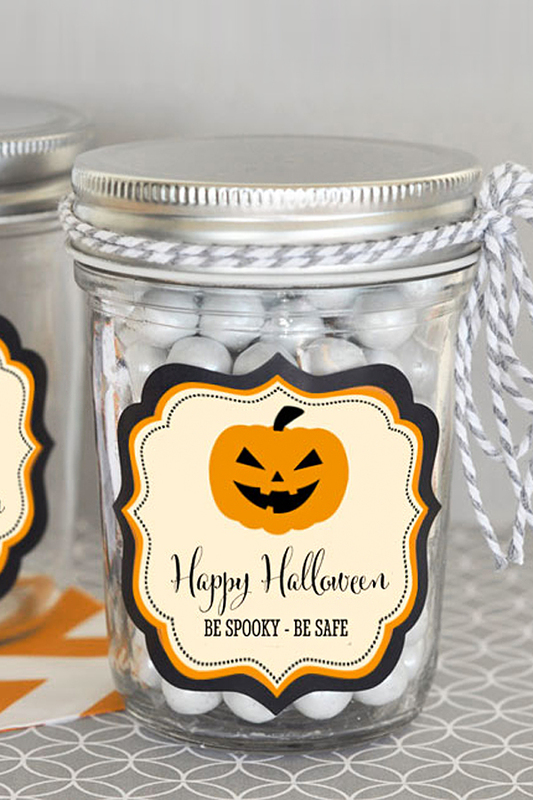 You can also lay them out at a candy bar or buffet table for a decorative pack your own goody bag. Due to the personalization for this product the minimum order is 3 sets (36 bags).